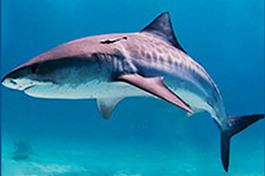 Find quality shark cartilage for your nutritional supplements when you shop with Bi-Pac Nutraceutical Inc. Our business is known for being dedicated shark cartilage manufacturers, offering the cartilage of non-endangered shark species that have already been harvested for food in New Zealand. For your peace of mind, our natural low-lead shark cartilage powder is non-irradiated. Shark cartilage contains calcium, phosphorous, protein, and a family of complex carbohydrates, including chondroitin sulfate. When used in supplements, shark cartilage is widely recognized to help regenerate cartilage to support and maintain healthy joints. Whether you are interested in learning more about how cartilage is used in our natural pet supplements or would like to learn more about our grain-free cat treats, you can call us at (516) 569-3617 or (800) 443-1324 for additional information. A member of our team will be happy to speak to you about our products, as well as your needs.